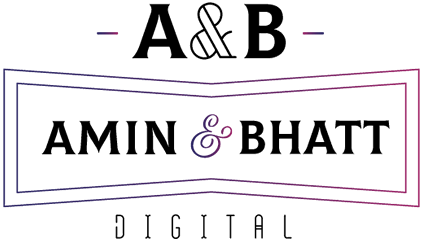 We at A&B Digital have always taken pride in being a global brand. Through the years we have worked in diverse industries and have built lasting partnerships. Our priority has always been building and nurturing brands. WE grow when YOU grow. We bring in an array of services to you with a personal touch and a professional background. Partner with us and you can be rest assured that your task will be taken care of in the most efficient and professional manner. We provide a complete Digital solution tailored to your brand and its requirement. Well thought of strategy, pinpoint execution and a result oriented plan is what we would provide you. We plan and create custom campaigns which are focused on getting the optimum results. Focussed targeting and creative designs helps brands build a genuine and supportive follower base. We focus on making clean designs with customer usability as our priority. The ease of customer flow through the app and the appealing aesthetics make our designs standout from the competition. We provide creative designs custom made for your requirements always in the agreed timeframes. We can provide Graphics across all platforms online as well as offline as per your needs. All our SEO and SEM efforts are ROI focussed. Carefully crafted campaigns and systemic execution is what we provides. Proper and timely analytical reports are provided to our partners. We are a team of Young, Dynamic and Skilled individuals. We intend to bring new age and fluid designs and layouts to make sure you and your end users have the best experience. Our Planning and execution as a team is completely focused on your goals and targets. We are humbled with the support we have gotten from our partners over the years. We have always focused on delivering top quality content with consistency, this has helped us build long term partnerships throughout the years.